Gas Truck question and answers. Thank you again for your participation in our Shell Rotella Gas Truck Q&A! You submitted some great questions and we hope this will provide you the information you need and are looking for regarding the new product. To learn more about Shell Rotella Gas Truck, please visit This Link or call our Technical Team at 1-800-BEST-OIL (Option 3,2). 1. What is reason this oil isn’t recommended for sedans or SUV that not using for towing? The Shell Rotella Gas Truck product is recommended for use in gasoline pickup trucks and SUVs that face even the most extreme conditions including heavy hauling, towing, extreme temperatures and off-road because of its unsurpassed protection. We know that gas truck owners want a motor oil that delivers on key benefits including protection for extremes their engines face. Shell Rotella Gas Truck is all about hard work, and we know that many gasoline-powered pickup and SUV drivers, particularly those with 4×4 vehicles, use their trucks for hard-working purposes. The product is also suitable for gasoline pickup trucks or SUVs that do not face these types of conditions as well. The SAE 5W-20 and SAE 5W-30 viscosity grades are recommended for use in all vehicles under all driving conditions. And the SAE 0W-20 is recommended for all vehicles that allow the use of an SAE 0W-20. 2. What is the difference between this oil and a regular PCMO you make like Pennzoil Platinum or Conventional Pennzoil? Shell Rotella Gas Truck provides unsurpassed wear protection that larger, higher-torque powertrains need. It outperforms conventional motor oils in severe conditions like stop-and-go driving, sludge forming environments, extensive idling, heavy hauling and towing, rugged terrain and extreme hot and cold temperatures. This is a full synthetic product and is formulated differently than Pennzoil Platinum. The chemical composition of the products is quite different. Both Pennzoil Platinum and Shell Rotella Gas Truck are full synthetic motor oils with a modern package of additives meeting the latest API SN PLUS requirements. Shell Rotella Gas Truck is specifically formulated with higher levels of antioxidant to protect the larger vehicle engine. This enables the oil to cope with the more stressful and hotter operating conditions, often encountered by truck and SUV owners. However, both products you referenced provide a very strong level of protection for passenger car engines. Currently at Advance Auto Parts I can get a 5qt jug of Mobil 1 5w30 for $29 and 5qts of Rotella Gas Truck 5w30 is $60. How are you going to compete with those prices? Retailers that sell Shell Rotella Gas Truck are able to set their own prices. However, the pricing we are able to see from Advance Auto Parts is $39 for 5 quarts of Shell Rotella Gas Truck 5W-30. We strive to be competitive with other full synthetic motor oils in the marketplace. Shell Rotella Gas Truck product is recommended for use in gasoline pickup trucks and SUV’s that face even the most extreme conditions including heavy hauling, towing, extreme temperatures and off-road because of its unsurpassed protection. The product also is suitable for a gasoline pickup truck or SUV that does not face these types of conditions. The 5W-20 and 5W-30 viscosity grades are recommended for use in all vehicles under all driving conditions. The chemical composition of Shell Rotella Gas Truck and Pennzoil Platinum products is quite different. Both Pennzoil Platinum and Shell Rotella Gas Truck are full synthetic motor oils with a modern package of additives meeting the latest API SN PLUS requirements. Shell Rotella Gas Truck is specifically formulated with higher levels of antioxidant to protect the larger vehicle engine. This enables the oil to cope with the more stressful and hotter operating conditions, often encountered by truck and SUV owners. However, both products provide a strong level of protection for engines they are designed to service. 5. Would a driver of a small “performance” SUV that is not used for towing (like me) have any compelling reasons to use this oil? Even if you do not use your SUV for towing purposes, stop and go traffic is still considered an extreme condition for your engine and requires adequate protection. Shell Rotella Gas Truck motor oil outperforms conventional motor oils in severe conditions, like stop-and-go driving. 6. I for one, would be more than willing to try out 6 quarts of 5w-30 for 5,000 miles in the name of posterity and science. The product is available for purchase now at your local Advance Auto Parts and AutoZone retailers and will be coming soon to other retailers. We would love to hear your thoughts after you try it! 7. What oil weights will it be in? What certifications will it carry? Shell Rotella Gas Truck product is available in SAE 0W-20, SAE 5W-20 and SAE 5W-30 viscosity grades. Specifications and approvals for Shell Rotella Gas Truck oil include API SN-Resource Conserving (also all previous categories), API SN PLUS, ILSAC GF-5, Chrysler MS-6395, Ford WSS-M2C947-B1 and GM dexos1™ Gen 2. 8. Will this oil replace the Rotella T6 Multi Vehicle? Shell Rotella Gas Truck product does not replace the T6 Multi-Vehicle product. The Shell Rotella Gas Truck product is recommended for gasoline powered pickup trucks and SUVs and is offered in three viscosity grades including 0W-20, 5W-20 and 5W-30. It meets all the major passenger car engine manufacturer specifications, such as GM dexos1TM Gen 2 as well as ILSAC GF-5. The Shell Rotella T6 Multi-Vehicle product is primarily a heavy duty engine oil from a formulation perspective and meets API CK-4 for diesel engines as well as API SN due to how the product is formulated. Both can be used in a vehicle that requires or allows an SAE 5W-30 oil. So it will depend on your engine manufacturer requirements and your preference which product you choose. 9. Will a 10w30 be available, and if so, what will the HTHS be? It will not be available in a 10W-30 as the majority of truck and SUV engines call for a 0W-20, 5W-20 and 5W-30. If you require a 10W-30, we encourage you to purchase Pennzoil SAE 10W-30 motor oil. 10. What are the specs for HTHS and volatility? The specifications for HTHS are dictated by SAE J300 and vary by viscosity grade. Volatility is dictated by ILSAC GF-5 or the more stringent Dexos requirements. Shell Rotella Gas Truck motor oil carries Dexos approval, and as such, meets the volatility requirements of this specification. 11. What is the difference between this oil and the (now not gas certified) Rotella T5 and T6 line? Shell Rotella T5 Synthetic Blend and Shell Rotella T6 Full Synthetic are both heavy duty diesel engine oils. They meet the API CK-4 performance standards for diesel engines as well as all the major diesel engine manufacturers. These products are specifically formulated to meet the needs of diesel engines. Shell Rotella Gas Truck full synthetic motor oil is formulated to meet the needs of gasoline engines and meets all the major engine manufacturers specifications as well as API SN+ and GF-5. Customers should use the product that meets the needs of their engine as specified by the manufacturer. Diesel engine oil can potentially cause problems for the catalytic converter in gasoline engines and gasoline engine oils do not have the level and type of additives necessary to protect diesel engines. ich Gasoline engine market is this oil mainly created for? Shell Rotella Gas Truck is recommended for gas pickups and SUVs, especially those that face extreme conditions. It is intended to be price competitive to other full synthetic products on the market with similar levels of performance. We know that many gasoline-powered pickup and SUV drivers, particularly those with 4×4 vehicles, use their vehicles for hard-working purposes such as hauling a load of mulch, helping a friend move, going off-roading or towing a boat or trailer. Even stop-and-go traffic is an extreme condition for an engine. These activities require extra engine protection for these larger engines. However, it is also suitable for use and will perform well in all gasoline engines that call for an engine oil in these viscosity grades: SAE 0W-20, SAE 5W-20, SAE 5W-30. 13. Will this oil carry (any) ACEA specs…or just ordinary API non-informative specs? Specifications and approvals for Shell Rotella Gas Truck oil includes API SN-Resource Conserving (also all previous categories), API SN PLUS, ILSAC GF-5, Chrysler MS-6395, Ford WSS-M2C947-B1 and GM dexos1™ Gen 2. 14. From the perspective of the lubricant alone (ignoring transient fuel dilution, and of course, any other mechanical dysfunction), is it correct that a lubricant that remains in-service for longer will successively become less volatile? It is true there is a correlation between volatility and oil viscosity. Lower viscosity usually means higher volatility. However, these factors are accounted for when designing engine parts, viscosity grades, and manufacturer recommended viscosities and oil drain intervals. By meeting the industry and manufacturer specifications, Shell Lubricants products are engineered to stay within grade during the recommended oil drain intervals. So, we recommend you follow your original equipment manufacturer recommendations regarding viscosity and oil drain interval. 15. Does the presence of gasoline in motor oil change the rate of chemical degradation of additives or base stocks attributable to a chemical reaction between the fuel and the oil? Or is any accelerated break-down, if experienced, due solely to the mechanical effects of lubricating an engine with what effectively amounts to a lower viscosity, lower-lubricity lubricant if a fuel-diluted lubricant is present in an engine lubrication system? It is true there is a correlation between volatility and oil viscosity. Lower viscosity usually means higher volatility. However, these factors are accounted for when designing engine parts, viscosity grades, and manufacturer recommended viscosities and oil drain intervals. By meeting the industry and manufacturer specifications, Shell Lubricants products are engineered to stay within grade during the recommended oil drain intervals. So, we recommend you follow your original equipment manufacturer recommendations regarding viscosity and oil drain interval. If you ignore transient fuel dilution, when the oil ages, thickening can occur and that means that the oil becomes less volatile. If you monitor your fuel economy and see a decrease in fuel economy performance, you are encouraged to have your oil checked as likely you are experiencing fuel dilution which has a negative effect on fuel economy. 16. The 0W- part of a lubricant spec refers to adhering to specifications with respect to cold pumpability. Is there any sort of minimum spec in which an oil must continue to adhere to such? When selecting an oil that we want to have great cold pumpability performance for a lengthy oil change interval in cold weather, are there any specs or figures of merit that a consumer can consider? Aside from selecting a lubricant labelled “synthetic” from a reputable vendor? Yes, there is a specification (SAE J300) that dictates, for example, low temperature cold cranking viscosity and the low temperature pumping viscosity. For a 0W grade, the limit is 6,200 mPa * s (at -35°C) for low temp cold cranking viscosity and 60,000 mPa * s (at -40°C) for low temperature pumping viscosity. Full synthetic motor oils will have better low temperature properties than their conventional or synthetic blend counterparts. For example, Shell Rotella Gas Truck 0W-20 will have the best low temperature property of the Shell Rotella Gas Truck products as it has the lowest viscosity (assuming your manufacturer allows an SAE 0W-20). Low temperature properties will not change significantly throughout the oil drain. We always recommend following your original equipment manufacturer’s recommended viscosity and oil drain interval. 17. With the introduction of Shell’s Gas Truck oil, will SOPUS be discontinuing the Pennzoil Ultra line of oils? What’s the difference between Pennzoil Ultra and your new Rotella oil? Shell Oil Products US (“SOPUS”) will not be discontinuing Pennzoil Ultra Platinum. Pennzoil Ultra Platinum is formulated for and continues to be used in applications such as racing (i.e. Indy Car) and is used in SRT (street and racing technology) vehicles. Our Shell Rotella Gas Truck product is recommended for gas powered pickups and SUVs, especially those that face extreme conditions such as towing and hauling. 18. How does Shell plan to get this product into the hands of us oil nerds? Wide distribution including auto parts stores AND other retail outlets? The product is available for purchase now at your local Advance Auto Parts and AutoZone retailers and will be coming soon to many other major national retailers (such as Walmart, Tractor Supply, Mendards, NAPA Autoparts) and online. We would love to hear your thoughts after you try it! 19. When will this oil come to Canada? The Shell Rotella Gas Truck product will be available in Canada at Tractor Supply Company and Peavey Mart starting in the second half of 2019. 20. The gas truck oil and t6 multi vehicle share a bottle design. Do they also share similar/same formulations? Will multi-vehicle remain in the engine lineup? The bottle designs for Shell Rotella T6 Multi-Vehicle and Shell Rotella Gas Truck is common among many Shell Lubricants products. Shell Rotella Gas Truck and Shell Rotella T6 Multi-Vehicle are separate products with different formulations. The Shell Rotella T6 Multi-Vehicle product will continue to be part of the product portfolio for Shell Rotella and is primarily a heavy duty engine oil while the Shell Rotella Gas Truck product is recommended for gasoline-powered pickups and SUVs. Shell Rotella Gas Truck is offered in three viscosity grades including 0W-20, 5W-20 and 5W-30 and meets all the major passenger car engine manufacturer specifications, such as GM dexos1TM Gen 2 as well as ILSAC GF-5. Shell Rotella T6 Multi-Vehicle product meets API CK-4 for diesel engines as well as API SN due to how the product is formulated. 21. What is the target application for this oil? Is this oil designed to overcome the challenges of new turbocharged V6 and 4 cylinder truck engines or is this for more traditional pushrod V8 applications? Shell Rotella Gas Truck is all about hard work and we know that many gasoline-powered pickup and SUV drivers, particularly those with 4×4 vehicles, use their trucks for hard-working purposes. The intended applications are trucks and SUVs that experience extreme conditions such as hauling, towing, off-roading and even stop and go traffic. The product meets API SN+ which is aimed at protecting turbo-charged engines against the damaging effects of LSPI (low-speed pre-ignition). So yes, it is applicable for new turbo-charged V4 and 4 cylinder trucks. For V8 trucks with traditional pushrod applications you mention, customers often times seek a higher level of zinc content. In this case, we recommend you use Shell Rotella T6 5W-40 full synthetic heavy duty engine oil or Shell Rotella T4 Triple Protection 15W-40 as they contain a higher level of zinc. 22. Why would one choose Rotella over Ultra, Platinum or Conventional engine oil in a gasoline operation? What applications was it really designed for? Shell Rotella Gas Truck provides unsurpassed wear protection that larger, higher-torque powertrains need. It outperforms conventional motor oils in severe conditions like stop-and-go driving, sludge forming environments, extensive idling, heavy hauling and towing, rugged terrain and extreme hot and cold temperatures. We know that gas truck owners want a motor oil that delivers on key benefits including protection for extremes their engines face. Shell Rotella Gas Truck is all about hard work and we know that many gasoline-powered pickup and SUV drivers, particularly those with 4×4 vehicles, use their trucks for hard-working purposes. Pennzoil Platinum and Pennzoil Ultra Platinum are both high performing products as well. They are different formulations with different chemical compositions. We encourage customers that are currently using Pennzoil Platinum or Pennzoil Ultra Platinum to continue using those products. 23. Given that the base specs are SN+, Energy Conserving and GF-5, what makes this oil different to the others in high load and time at load regimes? Shell Rotella Gas Truck full synthetic motor oil is a unique formulation from others in the Shell lubricants portfolio. It is formulated with a higher level of antioxidants to perform better in larger truck and SUV engines. This enables the oil to cope with the more stressful and hotter operating conditions, often encountered by truck and SUV owners, especially in extreme environments and conditions such as stop-and-go driving, sludge forming environments, extensive idling, heavy hauling and towing, rugged terrain and extreme hot and cold temperatures. 24. Always looking for easy to find motor oils for flat tappet non-catalyst cars. Would you recommend this oil for that application? You have a more specialized application that requires the use of more zinc. In this case, we recommend that you continue to use Shell Rotella T4 Triple Protection 15W-40 and Pennzoil Ultra in your newer vehicles. 25. What’s the difference between this oil and Pennzoil Platinum, Pennzoil Ultra and Mobil 1 Extended Performance? Unlike traditional synthetic motor oils, the Pennzoil Platinum Full Synthetic line of motor oils with PurePlus Technology are formulated from pure natural gas, which helps lead to better performance. Pennzoil Ultra Platinum is formulated for and continues to be used in applications such as racing (i.e. Indy Car) and is used in SRT (street and racing technology) vehicles. Shell Rotella Gas Truck product is recommended for gas powered pickups and SUVs and comes in three viscosity grades including 0W-20, 5W-20 and 5W-30 and meets all the major passenger car manufacturer specifications such as GM dexos1(TM) Gen 2 as well as ILSAC GF-5. 26. Will we see a difference in voas of this new oil and Pennzoil platinum or even Quaker State ultimate durability? Is it truly different than existing formulations? Yes, this is a unique formulation from others in the Shell Lubricants portfolio. It is formulated with a higher level of antioxidants to perform better in larger truck and SUV engines. This enables the oil to cope with the more stressful and hotter operating conditions, often encountered by truck and SUV owners. 27. How does this compete with what’s currently on the market like M1 5w40? Many new Toyota trucks spec 0w20 so what is shell got that is unique and never been seen or done by a previous company? We currently do not see enough truck and SUV manufacturers recommending a 0W-30 to necessitate producing this viscosity grade, but we will certainly continue to keep an eye on that space. 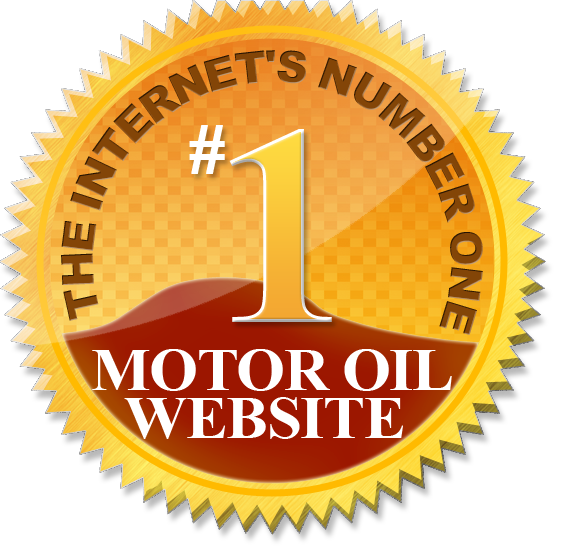 The product you refer to from Mobil 1 is a heavy duty diesel engine oil, so the products are very different. Shell Rotella T6 5W-40 is a full synthetic heavy duty engine oil. So, if you drive a diesel truck that allows a 5W-40, we encourage you to try Shell Rotella T6. Shell Rotella Gas Truck meets dexos requirements and dexos does not carry a 5W-40 specification. In addition to being the #1 global lubricants supplier for 12 years in a row, Shell Lubricants has decades-long innovation partnerships that are the testing ground for many of our products. We also have long-running relationships with many of the leading engine manufacturers. Not only that, but Shell Rotella is the #1 heavy duty diesel engine oil in North America with a strong heritage of providing protection for hard working engines. We know that gas truck owners want a motor oil that delivers on key benefits including protection for extremes their engines face – and this is exactly what this product provides: unsurpassed wear protection that larger, higher-torque powertrains need. It outperforms conventional motor oils in severe conditions like stop-and-go driving, sludge forming environments, extensive idling, heavy hauling and towing, rugged terrain and extreme hot and cold temperatures. 28. What benefit does this oil have vs other full synthetics with similar manufacture approvals and specs? Shell Rotella Gas Truck provides unsurpassed wear protection that larger, higher-torque powertrains need, and it outperforms conventional motor oils in severe conditions like stop-and-go driving, sludge forming environments, extensive idling, heavy hauling and towing, rugged terrain and extreme hot and cold temperatures. It also protects and prolongs engines life for all gasoline-powered truck and SUV engines, both old and new. We know that gas truck owners want a motor oil that delivers on key benefits including protection for extremes their engines face. 29. Is this a natural gas base stock? Shell Rotella Gas Truck is a full synthetic motor oil formulated with advanced additives and full synthetic base oils, including Shell PurePlus gas to liquid technology.